What’s the first rule of factoring? It’s a shame that few students get my Fight Club references anymore, because they’re GOLD! I’m not sure there’s much in math class I look forward to less than factoring. There are many cool applications of functions and quadratics when we get to max/min problems or start to connect factors to quadratic graphs, but there’s also a lot of necessary drill time which really taxes my creative juices. Fortunately, the Nrich Maths site provided a fun opener which allowed my students to work collaboratively and strategically. 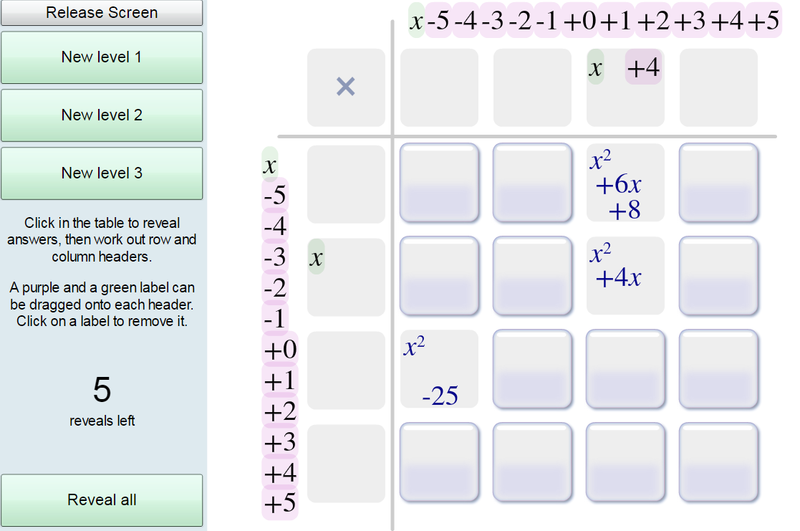 In the Finding Factors task, students are given a square grid of expressions to factor. Students then must determine which factor belows at the head of each row or column by strategically choosing expressions to factor. 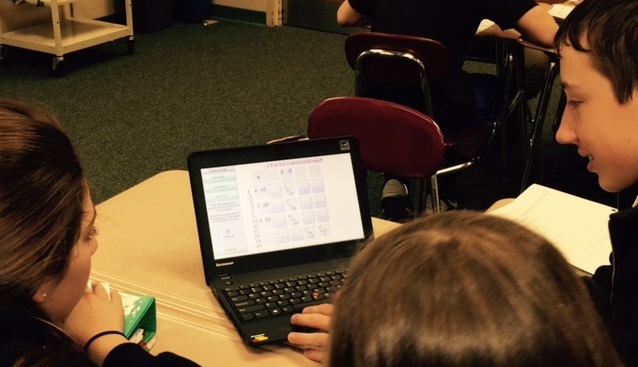 Each group in my classes today was given one netbook to use, and worked together to factor expressions and discuss possible factor placements. On the front board, a more challenging 6×6 problem board was projected, and interested students helped crowd-source a solution. This interactive applet allowed us to move from endless drill to a collaborative experience.